Heeft u een vraag voor Swiss-Lanna Lodge? 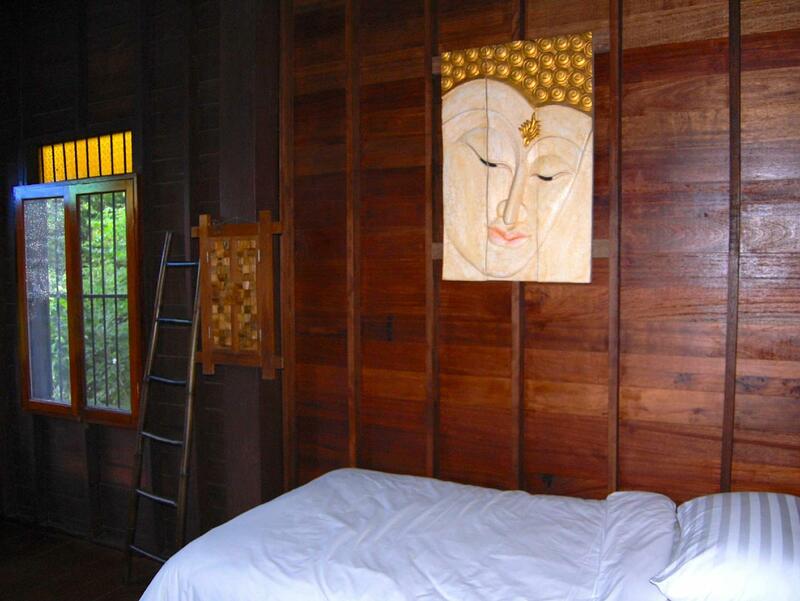 Swiss-Lanna Lodge in Charoenmueng, Chiang Mai is een populaire keuze onder reizigers. Het hotel ligt 3 km van het stadscentrum en de belangrijkste faciliteiten zijn dus goed bereikbaar. Dankzij de praktische locatie liggen alle belangrijke trekpleisters in de buurt van het hotel. Profiteer van de ongeëvenaarde dienstverlening en voorzieningen in dit hotel in Chiang Mai. Maak in het hotel gebruik van een selectie topklasse faciliteiten, zoals gratis wi-fi in alle kamers, wi-fi in openbare ruimtes, parkeerplaats, roomservice, familiekamer. De ambiance van het Swiss-Lanna Lodge weerspiegelt zich in de inrichting van de kamers. plasma tv, internet (draadloos), draadloos internet (gratis), bad/bubbelbad, rookvrije kamers zijn slechts enkele van de faciliteiten die u ter beschikking staan. Het hotel biedt vele unieke recreatiemogelijkheden zoals hot tub, golfbaan (binnen 3 km) , massage, tuin. 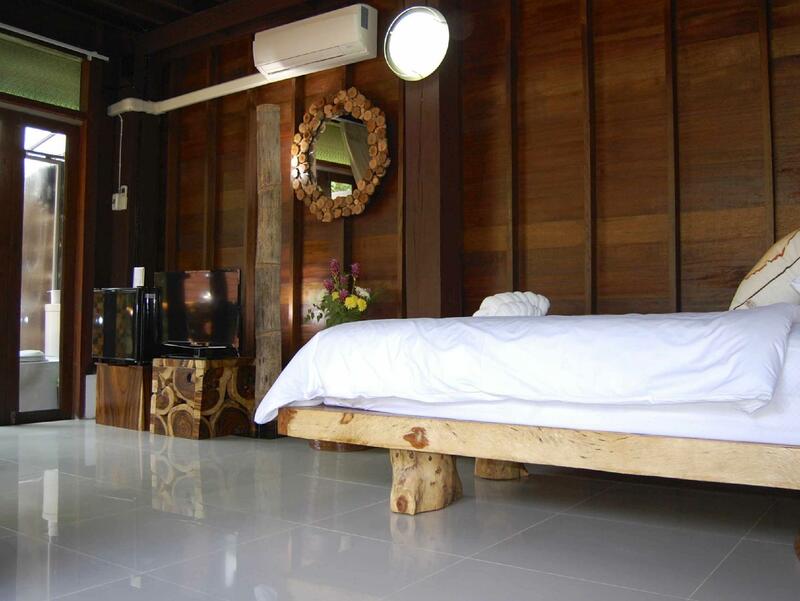 Fantastische faciliteiten en een uitstekende locatie maken het Swiss-Lanna Lodge de perfecte uitvalsbasis om van uw verblijf in Chiang Mai te genieten. Een mega super super fijne chille plek. Nog nooit zo'n lekker ontbijt gehad!! Enige "min"puntje is dat je niet echt te voet naar het centrum kunt. Je moet dan altijd een stukje over een wat drukkere weg zonder stoep. Nevertheless, het is meestal toch te warm om te lopen en je kunt scooters huren bij de lodge of binnen 5min staat er een taxi of tuktuk voor de deur. Nadeel: je zit ver van t centrum af en ze hebben geen eetgelegenheid in t verblijf. The staffs and owner are super friendly, the house is lovely, clean and peace. They always availble whenver you need their help but they are not there in the evening so make sure you eat something before you come back from the old city. The location is quite far to the old city center but you can have a nice place to stay and relax, we walked up and back from the old city everyday and its safe. we will come back for sure if we visit Chiang Mai again. Thank you and love from Viet Nam and Ireland. Dong & Timothy & Phil. Beautiful Thai-style mansion. Bikes for rent. A serene place to come back to after being in the hectic city center. The staff is very sweet, very helpful. Surrounded by trees and nature. Enjoyed relaxing on the large veranda upstairs. A ways into the city for walking, but easy to use "Grab" taxi: 66-71 baht to Old City (these guys will show up faster than a called-for tuk tuk--charged 120 baht for the tuk tuk). I'll be brief cause this is quite simply the best place to be in Chiang Mai. The rooms and the guest house are great and beautiful, the location is excellent and the staff is amazing!! Loved my trip there and would go back as soon as I can. Had a great stay there. In addition to the room and it's tiny garden, there is also a nice shared balcony and entrance area. Many places to chill and have a good time. Located a bit away from the action in Chang Mai, but otherwise great. Loved the staff there. So friendly and cheerful! I normally don’t write reviews but I had to after staying at Swiss-Lanna lodge. The rooms are adequate but sound travelled easily between them. What really stood out was how accomadating the staff were: we felt like part of their family! Extremely helpful, always smiling, and willing to go the extra mile to make sure everything was good during your stay. My girlfriend was sick one day and they were genuinely concerned, surprising her with a meal for free later in the day. If you’re on a budget book here! Staff is very nice and efficient. Our stay at Swiss Lanna was perfect. It was only for one night but we wished it was longer. The staff is super friendly and nice. They try to do everything to make you happy. The rooms are tidy and clean and even if it is not far from the main road, it is very quiet. We would stay there again without a doubt! 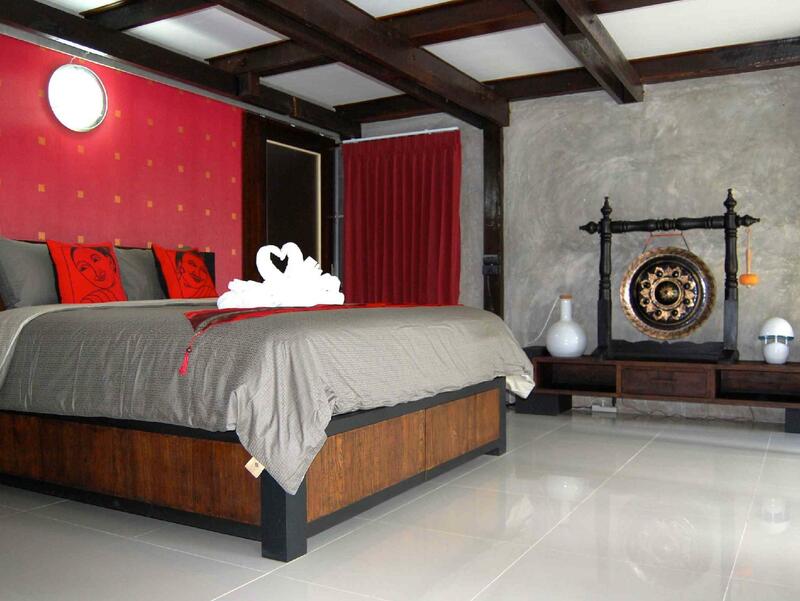 We choose Swiss Lanna because of the authentic Thai feel of the house. We were not disappointed. 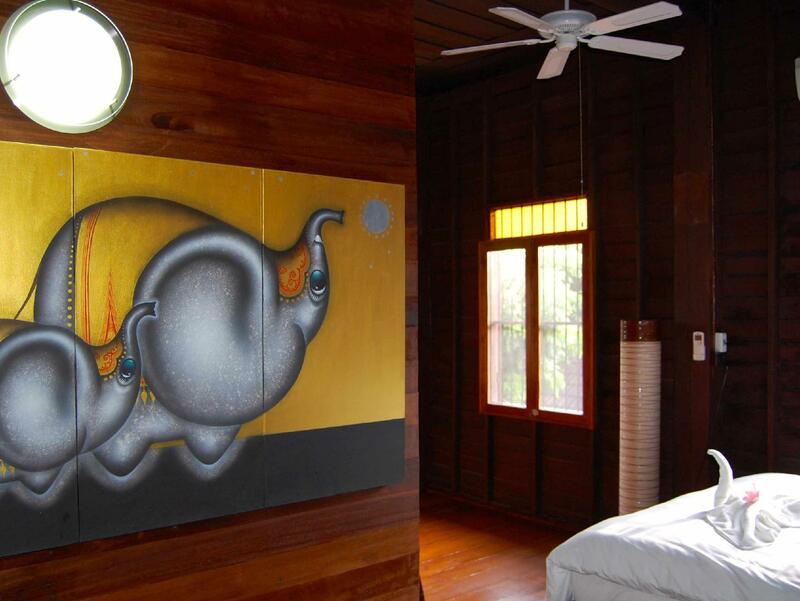 The whole house is in original Thai style and very elegantly decorated. The best part of the house for me was the huge balcony were I spent hours to watch both sunrise and sunsets. 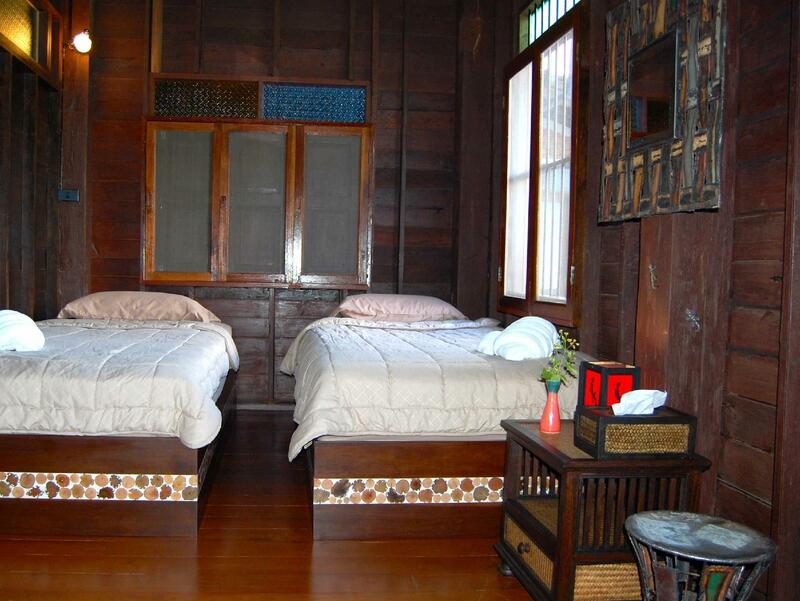 Rooms were spotlessly clean and comfortable With air con and fan. We wanted to stay on the outskirts of the hussle and bustle of the city so that we could feel the calm and hear the nature sounds but getting into town with a Tuk tuk was just 150 bhat. What makes Swiss Lanna special is its staff, Miss Toto and all her staff makes you feel part of the family. This certainly rates as one of the Best accomodation we had. My friend and I spent 3 nights here. The place was what we were looking for, quiet and uniquely Lanna styled. The hospitality was super, great cleanliness and we had a pleasant stay in two of the beautiful rooms. Will definitely come back again in the future. It is a old wooden house, meaning sound proof is zero. You can hear everything from the room next door, reception, or someone walking on second floor. But other than that, I strongly recommend this place. Staff was beyond expectation. Breakfast (not included) was very nice and cheap. Everything is super clean. Location was a bit out of town but in a lovely neighborhood. It's one of the best guest houses I've ever been. The accommodation is really stylish and clean. I liked the flair and quietness of this place. To be honest the best reason to stay is the super lovely staff, who always is willing to make your stay as comfortable as possible. Don't mind the military activities. I've heard them in the morning, but it didn't bother me. It was not the last time for me at the Swiss-Lanna Lodge. First of all, I want to say huge "Thanks" for staff at hotel! Amazing people, helped me a lot, even send my forgotten stuff in 2 days! Hotel itself very clean, I've enjoyed my stay there. I would definitely recommend this hotel to everyone! This was my second stay here and we took the suite with the spa and outside bathroom. It was fantastic. Highly recommended. There is an army barracks across the road with a bit of marching etc but it's fine in most rooms. 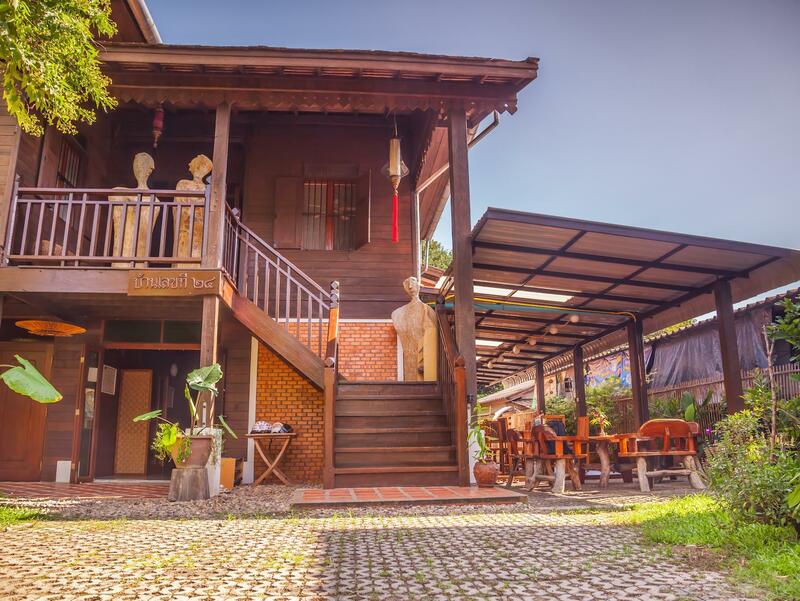 The place is a bit away from the usual spots for guest houses but the friendly staff generally provide free use of bikes or scooters to get around. We'll be back. Very secluded neighbourhood, not the easiest location to walk to nearby attractions. Other than that, the room was a nice escape from the bustle of town. NOTE: yes there is a military camp you can hear practicing in the mornings. I generally travel with ear buds anyways and didn't find it too distracting. My experience varied a lot depending which room I stayed in. The first several nights I slept badly due to noise above, and when I moved upstairs to the Elephant room, noise from the adjoining rooms. The place is not at all soundproof. Also the bed I had the first night was rock hard and the pillows were uncomfortable. The last night I stayed in the Pasha room which had a good bed, good pillows, a great shower, and much less noise. It is next to the kitchen and reception, but I'm up early enough that the morning noise didn't wake me. The staff are great - very friendly and helpful. Really enjoyed our stay here. The staff were extremely welcoming and were our favourite staff from all our stays in Thailand. 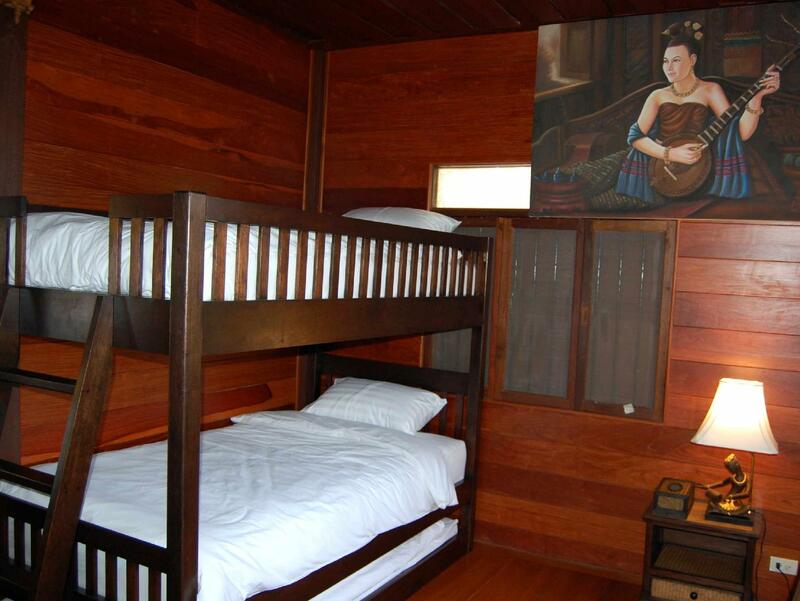 The guesthouse is small and finished to a high standard. It is a little out the way from the old city and about a ten minute walk from the night bizarre so factor in around 100-150Baht trips in taxis but that makes it good for those wanting to get away from the traffic and lights of the city. Would definitely recommend. Wooden structure enabled no privacy for guests. Whispers and snores were clearly heard from the adjacent rooms. Certain floorboards were crisped that made every step of us move in caution. Someone was listening to rock music in Saturday night. No staff was found in the reception to call for. Lighting was romantic but too dim in a spacious room. Mosquitoes were eager to kiss us all the time though all windows were netted and an electric catcher was on. We found their website was misleading as they hadn't clearly stated that bathroom was shared. I just wondered if this review will be allowed to upload?????!!!! !